If you have a mandoline, slice the potatoes to 1/8 of an inch. Keeping the slices together. Swirl some of the melted butter on the bottom and sides of a cast iron skillet. 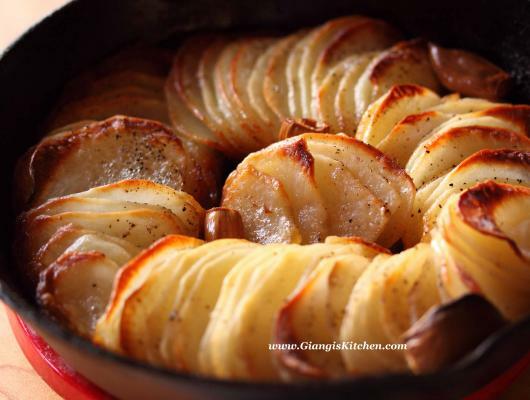 Place the potatoes in a round in the skillet. Insure that all the slices are evenly spaced. Tuck the garlic cloves among the slices. 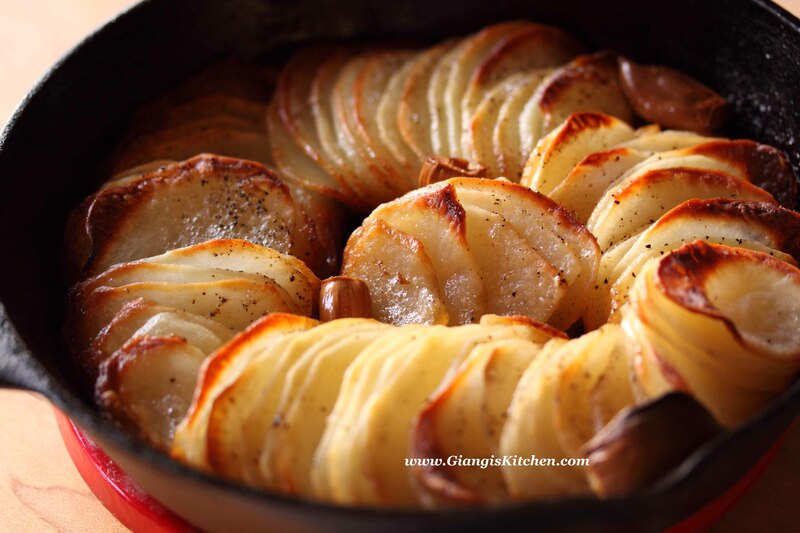 Brush the potatoes with the remaining melted butter and sprinkle generously with salt and pepper. Bake in the hot oven for approximately 30 to 40 minutes or until tender and golden brown.